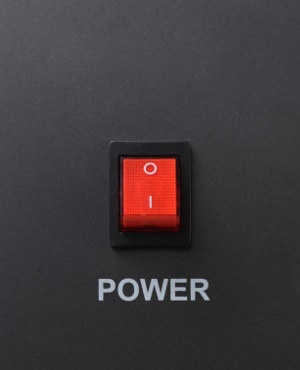 On Monday afternoon the power utility issued an update stating that from 13:00, load shedding would move from Stage 2 - which allows up to 2 000 MW to be cut from the grid – to Stage 4, which allows up to 4 000 MW to be cut from the grid. Eskom said this was due to the loss of an additional six generating units since the morning. Eskom's spokesperson Khulu Phasiwe told Fin24 that it was too early to say how long load shedding would last, but Eskom is getting feedback from power stations on the status of the units, and the department of public enterprises is engaging with Eskom's board to address the problem. "Load shedding is very expensive, not only to Eskom, because we cannot sell as much electricity as we want to, but also for the country. "With today being the start of a new work week, it means many of the companies using electricity – like the steel industry and others, would have to reduce operating hours because of load shedding. All these things have a negative effect on the economy," he said. Meanwhile Agri SA issued a statement warning that load shedding would have a negative impact on the sector and the broader value chain. Electricity costs account for 5%, or about R7bn, of the sector's expenses, Agri SA said. "Electricity is an important input cost for many farmers, especially farmers that depend on irrigation… Load shedding will have an impact on irrigation-reliant and energy-intensive industries like the horticulture, dairy, poultry, grains and agro-processing industry," said Nicol Jansen, chairman of Agri SA's centre of excellence for economics and trade. FNB senior agricultural economist Paul Makube told Fin24 that past experience shows that load shedding comes at a cost for farmers, as they have to make provision to run generators to keep operations going. "Farmers may face pressure if the costs of maintaining operations increase," he said. Makube said that if load shedding is sustained, and if there is no security of electricity supply in the long term, it will be costlier to produce food. "Obviously those costs will be passed onto the consumer," he said. "Eventually in the longer term it will have an impact on food inflation, if it is sustained." Marique Kruger, an economist of the Steel and Engineering Industries Federation of Southern Africa (Seifsa) said that electricity input costs amount to 2% - R9.3bn for iron and steel products, and R2.2bn for basic non-ferrous metals. Shaun Nel - spokesperson for the Energy Intensive Users Group of South Africa, whose members include chemicals and oil company Sasol, paper manufacturer Mondi, mining companies such as Sibanye-Stillwater and Anglo American – warned that load shedding would see smelters closing down. "Load shedding, or the lack of power, is causing several businesses to reassess their smelting operations," he said. "Stage 4 load shedding is very serious indeed and it will effect commerce and industry. "This will also affect the jobs of other workers, especially in heavy industry, and it is time that workers whose jobs are at risk raised their voices. "I can see foreign investors turning away and looking elsewhere for investment opportunities."